The J.R.E. Lee Jacksonville Alumni Chapter of the Florida A & M University National Alumni Association held a Rattler Round Up and College Send Off last weekend at Suite in the St. Johns Town Center. Alumni, students and parents gathered for fun, fellowship and celebration. 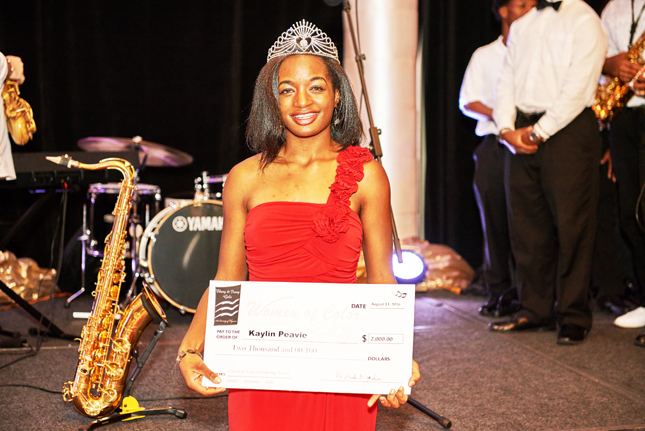 The event focused on the incoming FAMU freshmen class from the Jacksonville Area. The recipients previously submitted applications for the $1,000 award. Alumni offered encouraging words to the new Rattlers. Current FAMU students and recent graduates also traveled from Tallahassee to attend the event and impart wisdom on the freshmen class, and provide a student prospective on college life at FAMU. The new Rattlers also learned a few FAMU chants and dance routines for the football games. The Rattler Round Up also recognized outstanding local high school graduates who will matriculate at FAMU this fall. 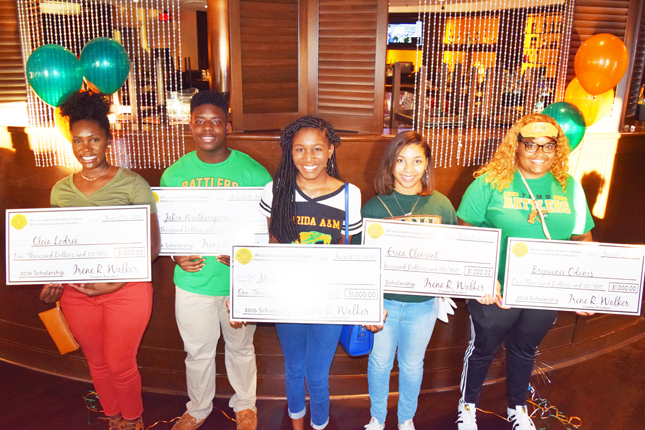 Shown are recipients Erica Clement, Stanton College Preparatory, Maia Hardy, Robert E. Lee High School; Cleia Lodree, Oakleaf High School; Bryawnna Odams, Stanton College Preparatory; Aisha Stinson, Westside High School and JaRon Weatherspoon, Robert E. Lee High School and FAMU Alumni enjoying the festivities. Also attending the Round Up were Kelvin Lawson, Chairman of the Florida A & M University Board of Trustees; Jean Downing, Vice President of the Florida Region NAA; Godfrey Jenkins, Financial Secretary of the Florida Region NAA; Irene Walker, President of the Jacksonville Alumni Chapter, and Robyn Lawrence, Chair of Scholarship & Recruitment Jacksonville Alumni Chapter. 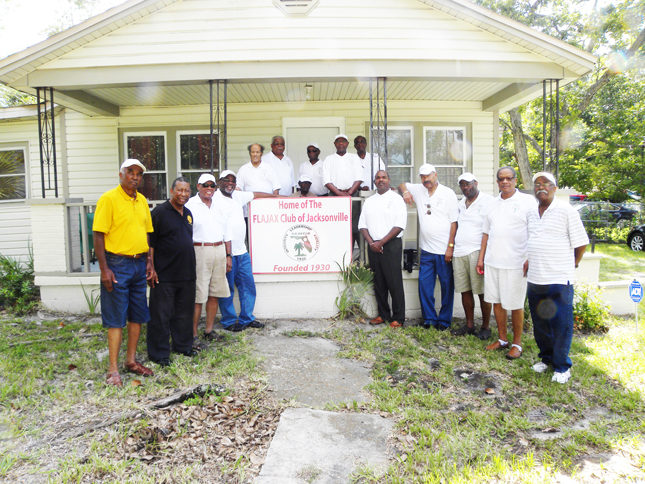 For over 70 years, the J. R. E. Lee Jacksonville Alumni Chapter has served as the official representative of Florida A&M University in the Jacksonville area. 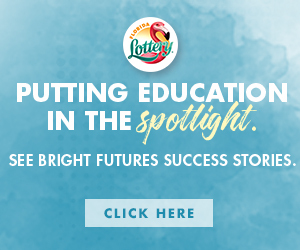 It is one of the top alumni chapters in the southern region that aspires to stimulate interest in supporting the university financially, morally and politically. For more information visit www.famujacksonville.org.